Well, it might night be the Infrared you’ve been looking for, but this latest iteration of the Air Max 90 more than earns its place in your DJ Khaled-sque sneaker closet. 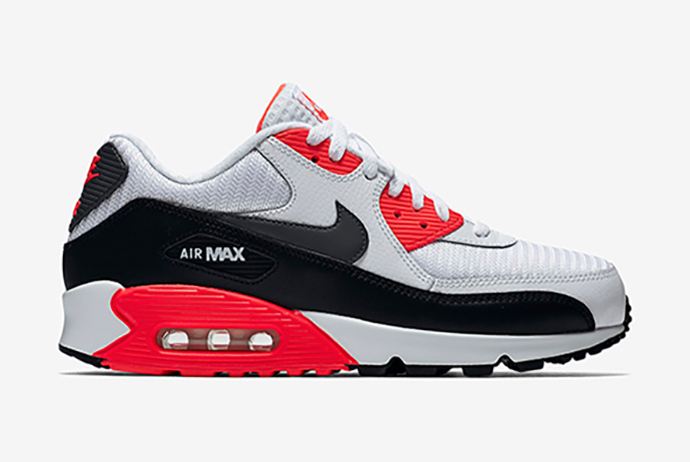 The latest Essential 90 sees mesh and premium leather in black, white and the adored Bright Crimson color-blocked into an OG staple. If you’re in the mood for some good looking beaters make that move and head to your trusted Nike plug ASAP.